A true taste of the islands in our newest BBQ sauce. 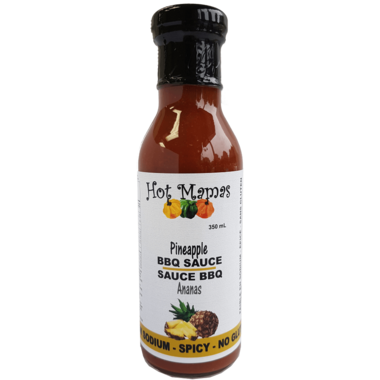 Lots of fresh pineapple and spices make this the ideal sauce for chicken, pork, tofu, and much more. Try it on your wings or use as a great marinade. So much flavour... you wont miss the salt! Low Sodium, Gluten and MSG free.